Secretary; Child Welfare Partnership Advisor- National SI Partnerships, Casey Family Programs, Maryland. Alumni of the FosterClub All-Star Internship, 2005. Alumna of foster care. Nicole Dobbins is a Partnership Advisor for the Casey Family Programs (CFP) - the nation’s largest operating foundation focused on safely reducing the need for foster care. In this position she oversees constituency engagement partnerships of the foundation. 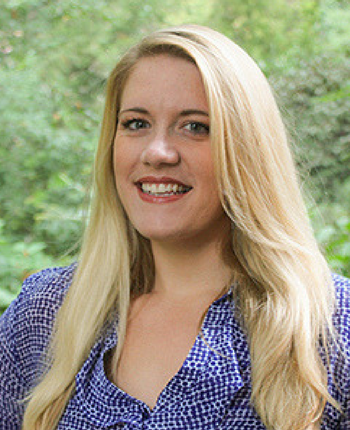 Prior to this role Nicole led Voice for Adoption, a national advocacy organization focused on educating policy makers about the needs of children and families who adopt from the public child welfare system. She managed internal and external communications to nearly one hundred member organizations, partners and governmental contacts. Ms. Dobbins was an active participant and considered a subject matter expert at briefings, hearings, and conventions related to foster care and adoption on Capitol Hill and nationally. At FosterClub, she was Director of Training & Events from 2006-2008. Nicole has served as a spokesperson for the National Foster Care Month campaign, and was recognized in 2008 as one of 10 Outstanding Young Leaders by the Kids are Waiting campaign, a project of Pew Charitable Trusts. In 2015, President Barack Obama honored Nicole as a “Champion of Change” at a White House ceremony celebrating National Foster Care Month. In 2016, Nicole received “Child Advocate of the Year” award from the North American Council on Adoptable Children. Ms. Dobbins leverages her passion to effectively urge improvement on behalf of young people currently living in out-of-home care. She is a graduate of Oregon State University and maintains an active role in her sorority as an alumna member, where she volunteers in her local community.